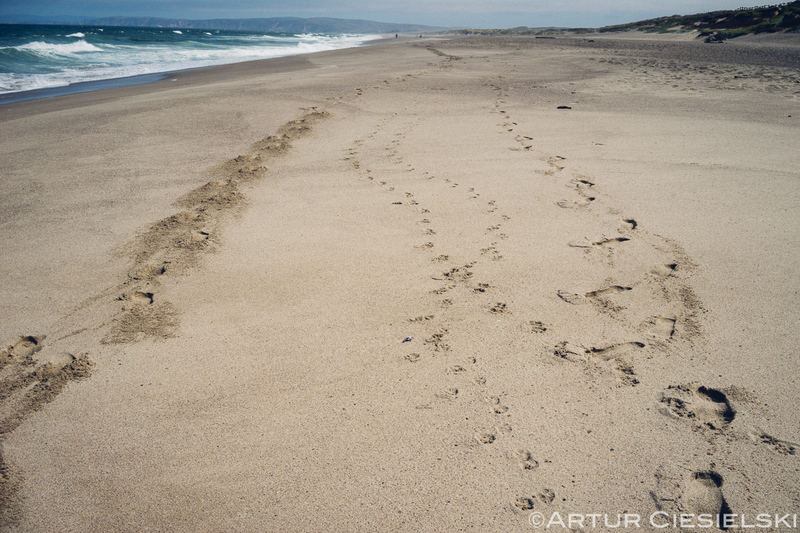 Rupik, especially liked walking on the beach. 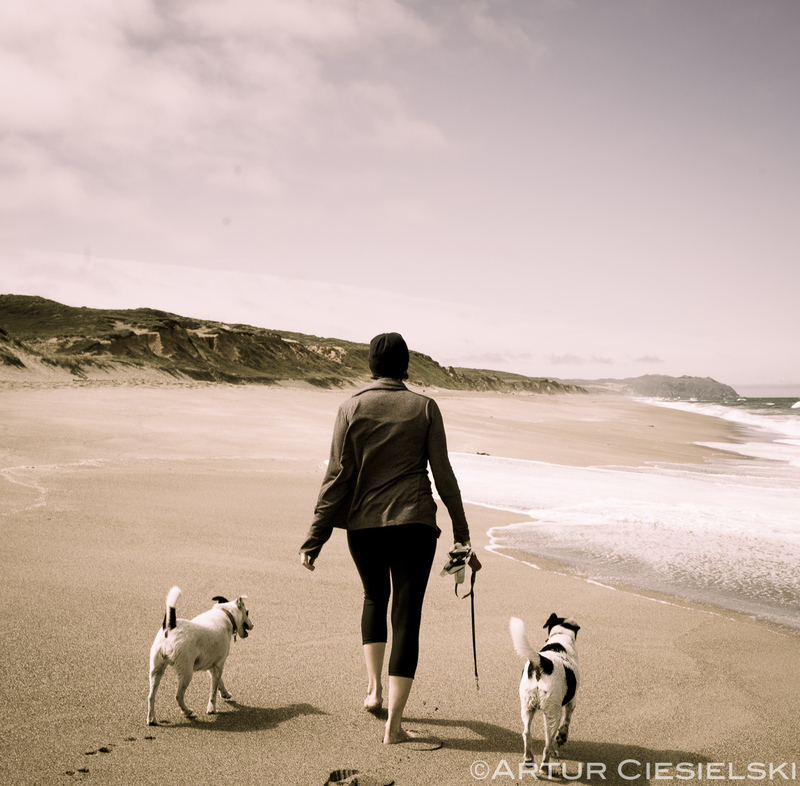 Here we traverse the sands on one of the few beaches in California where dogs are allowed. Our mark was made. My dragging feet on the left, Rupik is next – galloping followed by Maya with here petite four and Joanna.